A Brussels court has acquitted 18 suspects over a €37 million diamond heist at Brussels Airport in 2013. One suspect, who is accused of masterminding the raid, will be tried at a later date as he is serving an eight-year jail sentence in France for kidnapping. Eight men with guns, wearing police uniforms, made a hole in a security fence and drove on to the tarmac at Zaventem airport on 18 February 2013. 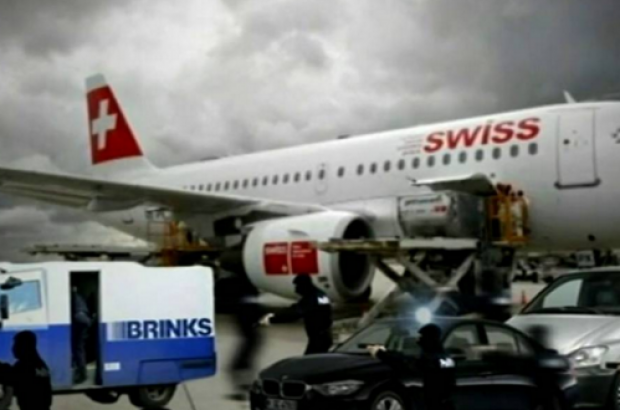 They held up a Swiss flight and a Brink's armoured money transit van and made off with 121 parcels of diamonds, gold bullion and precious stones that were being transported to Zurich. Only part of the loot has been found to this day. The suspects who stood trial in March - 15 men and three women - faced up to eight years in prison but all walked free on Thursday after the court ruled that there was insufficient evidence. "The elements are not sufficiently precise and concordant to establish the guilt of the defendants," the court said. Sigh. What else is new.